Over the last year I’ve shared many photos on the blog from events or photo shoots, and each time I get questions and comments wanting to know where I find my unique accessories. The secret is one I’ve been busting to share for quite some time, the answer is… Senka Sleeves Australia! Confused? Have I thrown you with the ‘sleeves’ part? Allow me to explain, Senka Sleeves Australia has built a reputation for making women feel glam like a Real Housewife of Beverly Hills – only without the million dollar price tag. Senka specialises in amazing jewellery you won’t find anywhere else, exclusive pieces that will have strangers oohing and ahhing over where you found such an amazing piece (no lie, it happens to me weekly). So where does the Sleeves part come into it you ask? Senka has created a beautiful line of sleeves that women everywhere adore and can’t live without – but that’s a whole other blog! When I first laid eyes on some of Senka’s luxe pieces I was in love, they screamed, “Look at me!” My biggest fear was turning over the price tag, as I’m a lover and collector of statement jewellery I know you get what you pay for, and have seen pieces like this online for over $500. In saying that, these are items you will have for years to come. So after diving in and seeing the price for a particular pair of earrings I was dumbfounded, they were only $60. I felt embarrassed but I had to ask, “Is this price right?” And it was, so I did what any other sensible gal would do and stocked up! The pieces I purchased from Senka over a year ago have been worn countless times for events and look just as fabulous as the day I bought them. Plus, they’ve saved me a small fortune on dresses because adding a statement piece to an old LBD gives it a whole new fresh look. I love her pieces so much, they’re all handmade and limited editions with means you will never be at an event and spy someone wearing the same accessories. 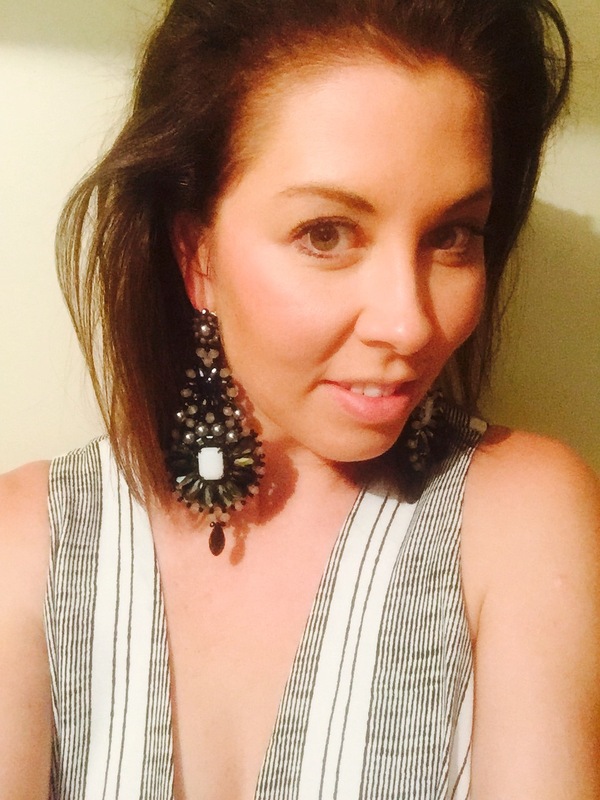 When I found out I would be working with Senka I was like a little girl being allowed to raid her mum’s jewellery box – I mean Senka is the queen of fabulous accessories and now I get to share them with you! 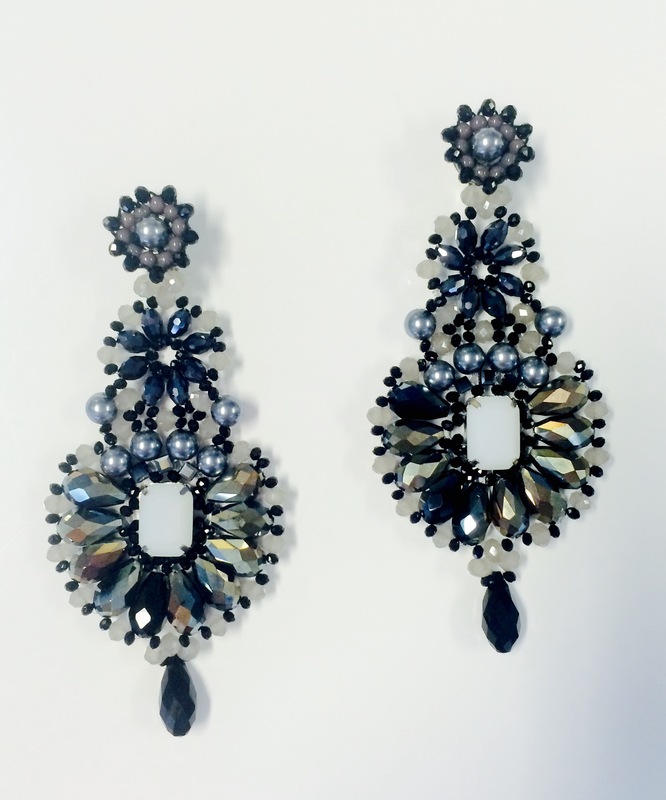 These stunning earrings arrived at my office this week and made me weak at the knees. Already I’ve nicknamed them ‘Madame Glam’. Encrusted with the finest crystals and finished to the highest standard, the earrings are a real knock out and are the perfect accessory to wear on a girl’s night out or date night with your love. Priced at only $60, they’re a once in a lifetime piece that won’t break the bank. They will give you many cherished years of wear and people begging to know where you found them. I could literally rave on and on about Senka’s pieces (and I do!) so I’ve teamed up with Senka herself to give one lucky reader her very own Senka piece just like the one above. 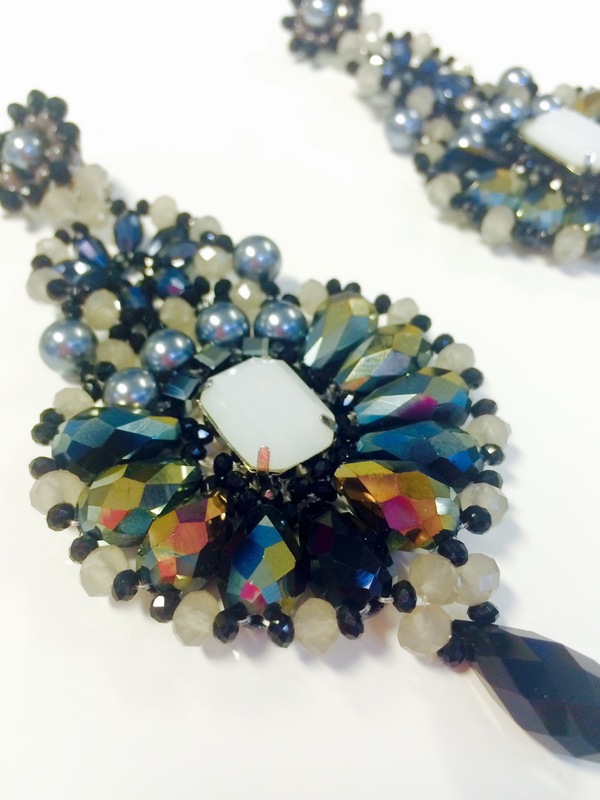 To enter simply share with me how you would wear your ‘Madame Glam’ earrings? The judges will choose their favourite answer and announce a winner on the 26th of April at 10pm. The fab earrings my little black dress stunning high heels fab bag and my handsome husband on my arm …. These are simply glamorous. 😍 I would wear them with my tight crop pants, white chiffon top and black heels. I’m off to a formal cocktail wedding in Melbourne in early August.. So I would construct my outfit around these gorgeous stunners..!! As they would be the star of the show, I really just need to keep my dress Simple & Elegant with long Satin gloves, faux fur stole, an updo hair style & a small evening bag.. All in Black I’m thinking……… Perfecto…!! I would love to win this pair of earrings Mrs Tink. There are such a killer piece, you wouldnt even need much else with them. I think I would pair them with a stunning black dress to wear out on a date. Who knows they might bring me good luck with men.